The Inner Trip Ideologue Research Center was founded to raise awareness about the value and importance of engaging ourselves within society, fulfilling one’s civic responsibilities, and participating in the political process. 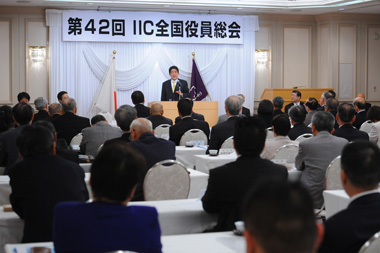 As an opportunity to deepen the knowledge of politics and to transmit the voices of people, the IIC organizes various lectures and seminars in different locations within Japan inviting politicians as guest speakers. Also, the IIC publishes a monthly magazine providing a space for politicians to present their political viewpoints.